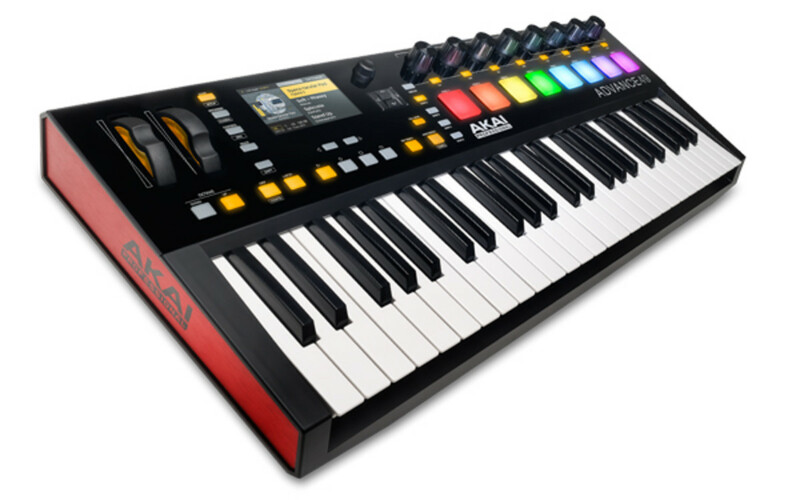 The New Akai Pro Advance Series Keyboards will come in 25-key, 49-key, and 61-key variants and includes high-quality features such as the semi-weighted keybed, official MPC RGB backlit Pads, control knobs, rubberized mod & pitch wheels, and a high resolution full-color screen to view and change parameters. Check out this quick Advance Keyboard walkthrough video with Jennifer from Akai and T-GUT from the djbooth. The New Akai Pro Advance Series Keyboards will come in 25-key, 49-key, and 61-key variants and includes high-quality features such as the semi-weighted keybed, official MPC RGB backlit Pads, control knobs, rubberized mod & pitch wheels, and a high resolution full-color screen to view and change parameters. Check out this quick Advance Keyboard walkthrough video where Jennifer from Akai takes T-GUT and the rest of the DJbooth.net crew on a quick tour of the new Akai Advance Keyboards and the features and plug ins that can be manipulated using this new powerful controller platform and the new VIP user interface. Akai, the makers of the legendary MPC lineup of beat-making machines, has just announced their new flagship Keyboard controller series called Advance. 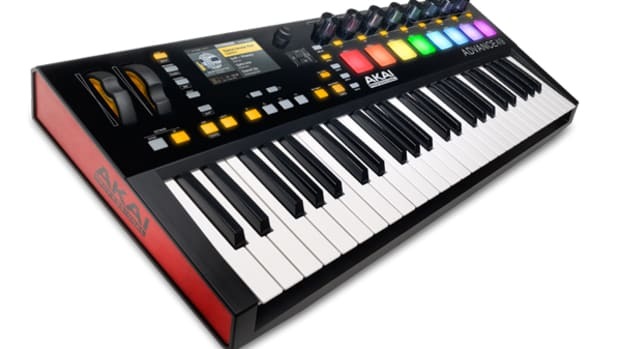 The New Akai Pro Advance Series Keyboards will come in 25-key, 49-key, and 61-key variants and includes high-quality features such as the semi-weighted keybed, official MPC RGB backlit Pads, control knobs, rubberized mod & pitch wheels, and a high resolution full-color screen to view and change parameters. 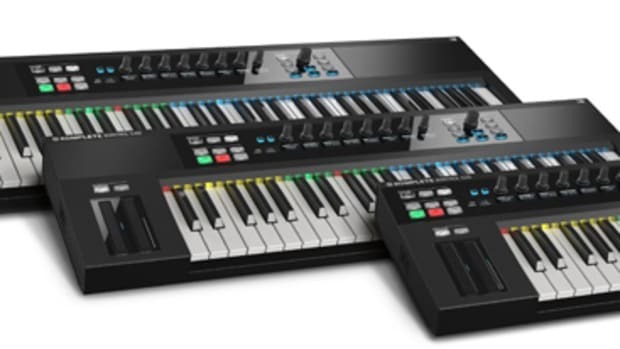 The all new Native Instruments Komplete Kontrol S-Series keyboards come in 25-key S25, 49-key S49, and 61-key S61 variants and they are perfectly mapped for the new Komplete 10 software making it much easier for users to control, navigate, and play the instruments and sounds within the new software. We've recently unboxed the new S49 Keyboard and our review is coming soon. In the meantime, check out the Komplete Kontrol feature details video to see what these keyboards have to offer. Debuted at CES, Line 6's Mobile Keys MIDI Keyboards have received high acclaim from both colleagues and press alike. 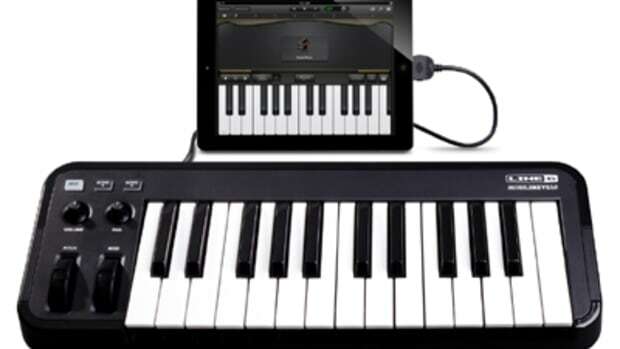 The Mobile Keys 25 and Mobile Keys 49 are the new, lightweight, ultraportable keyboards designed to control iOS music apps on Mac and Windows computers boast velocity sensitive keys and is equipped with pitch bend and modulation wheels for additional sonic control. We currently have one in the lab for a full written review that will be out shortly. Check out the product breakdown video inside. M-Audio has just released its' intuitive new series of keyboards called the CODE. 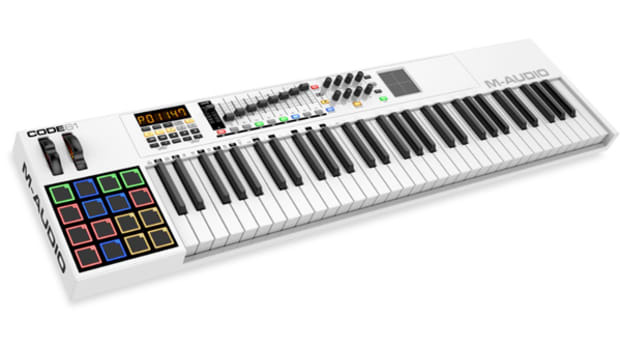 The CODE Series is a USB Midi Controller, which is available in 25, 49 and 61 keys. What makes the product so unique is that its' the first keyboard of its' kind to feature a built-in X/Y pad. 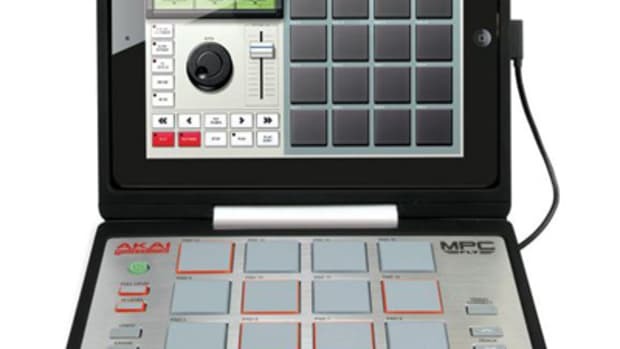 The X/Y pad allows user control of effects and virtual instruments through the touch pad. Check out our full Video breakdown of the new Akai MPC-FLY and the MPC-Renaissance straight from the Akai Booth at the NAMM 2012 showroom floor! We sat down with an Akai representative to get the low down on these two new products that we brought to you earlier this week. Watch the video after the jump. 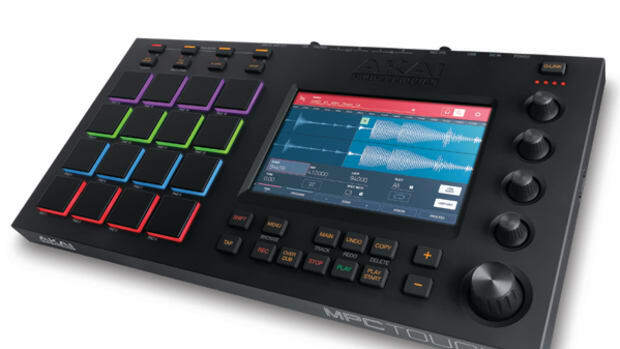 AKAI PROFESSIONAL has announced the latest incarnation of its' award winning controller, the MPC. The newest version, entitled the MPC Touch, is exactly as the name implies as it features a 7" touch screen that revolutionizes the famous controller. Watch the new tutorial series from Akai which shows many of the new features and functions and how to use the new intuitive device.